The FHA has announced increased FHA loan limits for 2018. The higher limits affect FHA home loan transactions in high-cost areas, low-cost housing markets, and gives qualified applicants more borrowing power in typically-priced housing markets, too. December 5, 2017 - The FHA has announced increased FHA loan limits for 2018. The higher limits affect FHA home loan transactions in high-cost areas, low-cost housing markets, and gives qualified applicants more borrowing power in typically-priced housing markets, too. The national conforming loan limit for 2018 is set at $453,100, up from last year's limit of $424,100 (see below). According to the FHA official site (FHA.gov), the Federal Housing Administration calculates "forward mortgage limits based on the median house prices in accordance with the National Housing Act. FHA’s Single Family forward mortgage limits are set by Metropolitan Statistical Area (MSA) and county”. Loan limits are published each year and updated annually as conditions warrant. 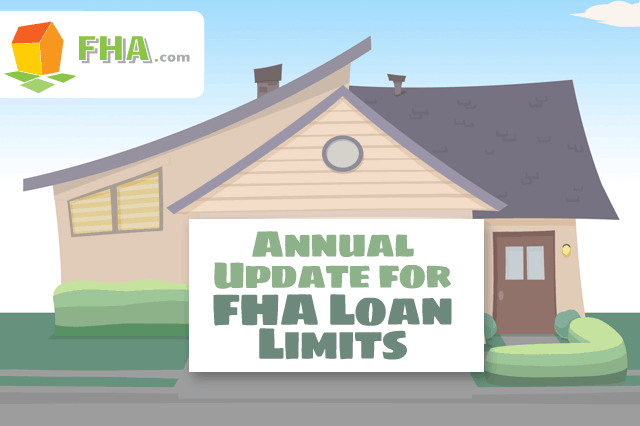 The higher FHA loan limits in 2018 come due to “robust increases in median housing prices and required changes to FHA's floor and ceiling limits, which are tied to the Federal Housing Finance Agency (FHFA)'s increase in the conventional mortgage loan limit for 2018” according to a press release on the FHA official site. More than three thousand counties will see FHA loan limits increase in 2018. The FHA sets loan limits "at or between the low cost area and high cost area limits" based on the median house prices for the area. According to the FHA official site, the FHA loan “floor” applies to those areas where “115 percent of the median home price is less than 65 percent of the national conforming loan limit." The FHA loan limits seen here apply for all FHA loans with case numbers assigned on or after January 1, 2018.